The Rose City Thunderbird Club is dedicated to the preservation and restoration of the original 1955-1957 Ford Thunderbird. 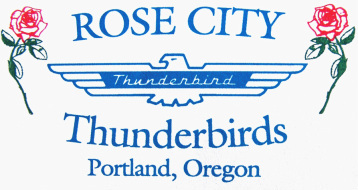 We are based in Portland, Oregon and are chapter #51 of the Classic Thunderbird Club International (CTCI). Please take a tour through our website and learn a bit about us.